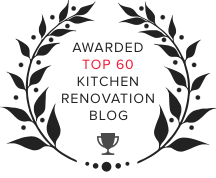 At its core and most basic level, the kitchen is a functional space. It’s where you prep and make the food that sustains your family. But it’s also the everyday gathering place that takes center stage during holidays and parties. When your kitchen lacks appropriate storage and organization you’re not functioning at your highest level. If you’re tired of having knives haphazardly thrown into drawers, plastic containers crashing down on you every time you open the cabinet door or struggling to find the utensil you’re looking for then we’ve got the solution for you. Fads and trends will come and go but useful, organized spaces will always be a top consideration on your kitchen design list. Organization and storage is more than just putting specific items in certain drawers or cabinets. It’s about affordable, modern solutions that can reduce health risks, improve food prep and create cooking and cleaning efficiencies. Cabinets and pantries are designed to be anything but standard. Customized accessory pieces will help make your life easier. If you have a small kitchen, optimizing your space gets you the most out of every square foot. We’ve compiled a list of kitchen storage accessories that we think you’ll appreciate in your home. 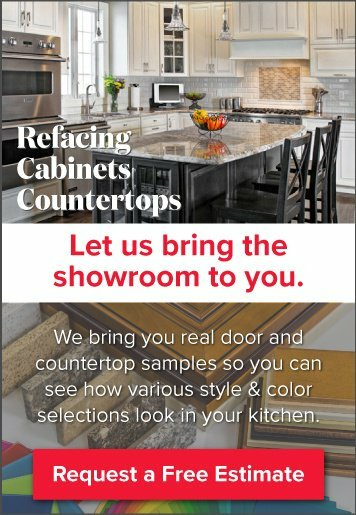 Whether it’s a technological advancement or a cabinet feature that makes daily activities more enjoyable, you’ll find the perfect option for your kitchen needs. 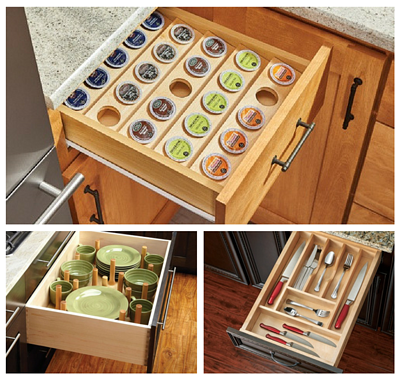 First on the list to achieving kitchen organization greatness is the roll-out cabinet organizer. Have you ever had to bend down on your knees—on a hard floor—to reach into the back of a lower cabinet only to pull out the wrong item? I’m sure you’ll agree with us when we say this is a painful and frustrating experience. If you’ve got back problems, you don’t want to hunch over for five minutes trying to find the item you’re looking for. Pull-outs are perfect because well—they pull out! 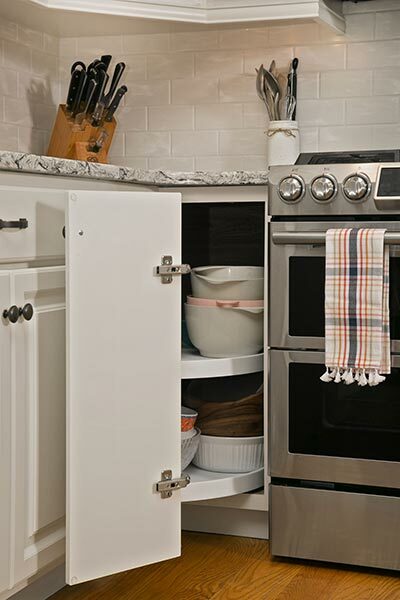 You won’t have to dig into a dark and compacted cabinet space. This organizer puts all the contents on display in a convenient manner, all it takes is a pull of the knob or handle and you've got everything at your fingertips. Adding these to your home will make your life so much easier and will eliminate the strain and discomfort of having to bend or hunch in the kitchen. The only thing you should have to stress over is what to make for dinner in your organized and functional kitchen! 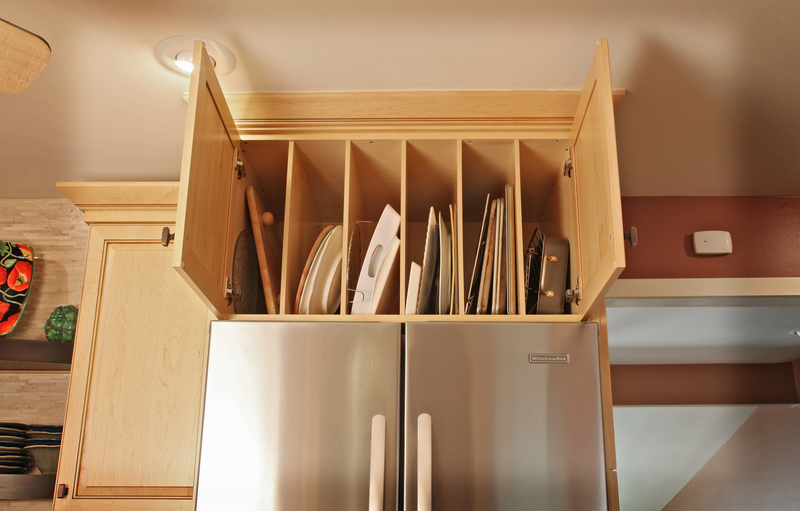 A pull-out isn’t the only option for organized cabinet storage. It all started with the very basic, very standard lazy Susan. We’ve become accustomed to small spaces because we can spin the wheel and access what we need. The only problem—overcrowding. When you can’t spin it around how do you access everything? Thankfully, Susan is versatile and has come a long way! For those large, dark cabinets you’ll want a Susan that tucks in or pulls out of those hard to reach—or see spaces inside the cabinet. This is a step up from that stationary spinning contraption. We love the pull-out and the good thing is that there are variations to make your life easier. Bring the contents of the cabinet out of the darkness and see what you're looking for! 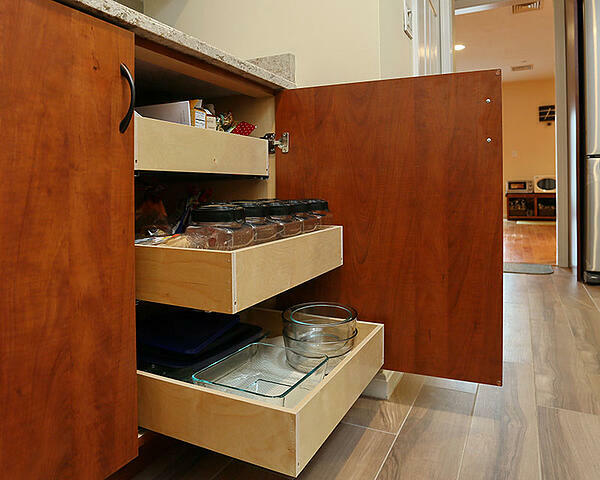 To ensure that your cabinet has a design for the most efficient use of space, think about the tray divider option as well. These are for your larger hard to store items like a glass pan, or the circular pizza tray. Make sure that everything has its place with these thoughtful design elements. Pull-outs are excellent for ease-of-use and handiness but what about inside your drawers? We’ve all got that one drawer— you know, the ‘junk’ drawer—everything goes in there no matter what it’s for, even if it doesn’t pertain to the kitchen! It often leaves you yelling out in frustration when you can’t open it because it’s packed to the brim. Well, drawer organizers will help you clean up that junk and reorder that messy space. Let us introduce you to the insert. You’ll be able to find one for whatever purpose: cutlery, utility, spices and even K cups—for all you coffee lovers. If you want it organized, we can make it happen with an insert. No longer will you struggle to open a drawer because there is a place for everything, and everything has its place with inserts! Your countertops will be clutter free and you’ll be able to open drawers with ease. An insert brings a certain peace of mind, knowing that everything you need is exactly where it should be. 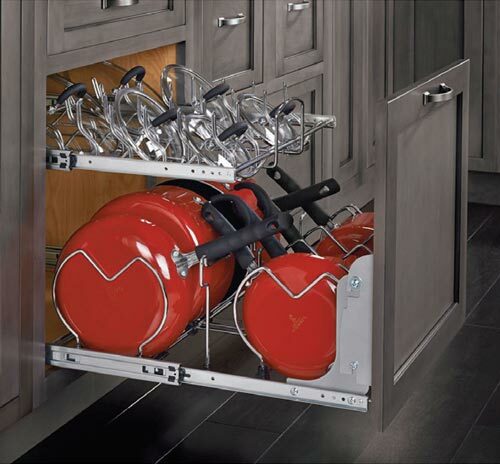 Whatever you’re looking for we’ve got the solution to your kitchen storage problems. If you’re ready to make the move to a more organized and functional space or want to discuss your options with a design expert, schedule a consultation with Kitchen Magic today.